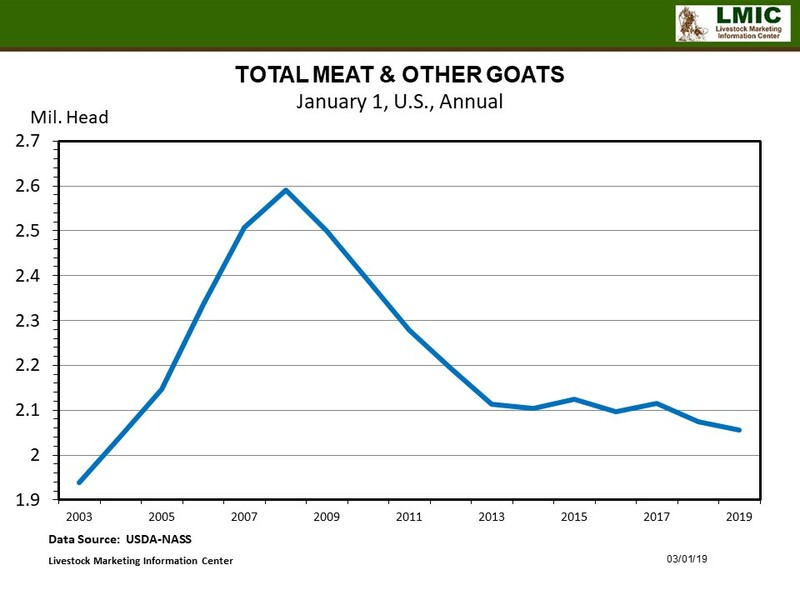 U.S. meat goats totaled 2.1 million head in the latest USDA-NASS Sheep and Goat Inventory report. Commercial goat slaughter increased over 3% for the last two years, early 2019 monthly data suggests 2019 could post similar increase. Find out more about goat slaughter trends in this week's Livestock Monitor newsletter article below.